Section headings and selected papers: System Dynamics. Autonomous control of complex systems: robotic applications (Keynote paper) (M. Jamshidi). Fuzzy guidance control for a mobile robot (W. Gharieb, G. Nagib). A neural adaptive approach for relative guidance of aircraft (M. Shahzad et al.). Solid Mechanics. The modeling of inelastic compressibility and incompressibility using the viscoplasticity theory based on overstress (VBO) (Keynote paper) (E. Krempl, K. Ho). Mechanics of fracture in fibrous metal matrix composites (Y.A. Bahei-El-Din, A.M. Elrafei). Material Science. Poisoning of grain refinement of some aluminium alloys (A.A. Abdel-Hamid, A.I.O. Zaid). Effect of alumina additions on the mechanical behavior of PM MMC with low strength matrix (A.A. Mazen, A.Y. Ahmed). Manufacturing Processes. New trends in CIM: virtual manufacturing systems for next generation manufacturing (Keynote paper) (B.K. Choi, B.H. Kim). On the prediction of surface roughness in turning using artificial neural networks (I. El-Sonbaty, A.A. Megahed). Design and Tribology. 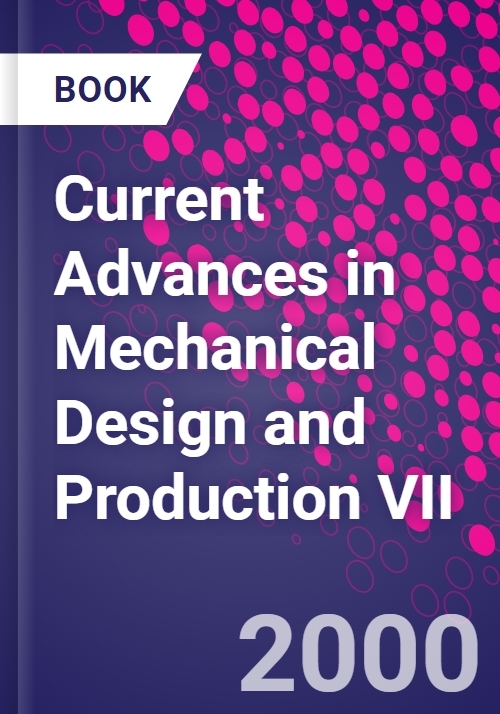 Design for manufacture and assembly (DFMA): concepts, benefits and applications (Keynote paper) (A.M.E. Bayoumi). Assessment of reliability parameters for maintenance based units using Linearized Weibull Model (A.A-F. Mostafa, A.A. Khattab). Industrial Engineering. Feature recognition algorithm for process selection (A.D. McCormack, R.N. Ibrahim). An investigation of the group scheduling heuristics in a flow-line cell (A.S. Hozayyin et al.). Author index. Subject index. List of participants.